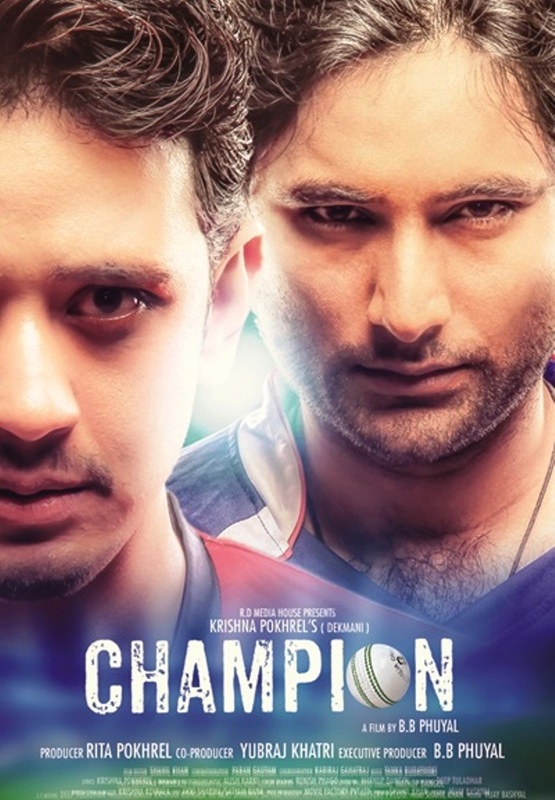 CHAMPION is the Nepali movie made under the banner of R.D Media House and a film by Krishna Pokhrel. The movie stars Dikpal Karki, Manjita KC, JN Ghimire, Sharda Acharya Pokharel, Ragish Phuyal, Jagat Tamata etc in the lead role. The movie was released on March 11, 2016 (i.e on Falgun 28, 2072). Champion is the movie based on the story of struggling cricketer in Nepal. At first Nikhil Upreti and his wife Sanchita Luitel were selected for this movie. However, Nikhil Upreti due to lack of time couldn't do this movie. Later Champion team signed Dikpal Karki for this role along with Manjita KC in his opposite. Dikpal Karki first movie was Rang Baijani, which was not the successful debut. Though Dikpal Karki had lots of expectation from this movie, this movie was also not successful. The movie was produced by Rita Pokharel and directed by B.B Phuyal. R.D Media House presents and a film by Krishna Pokhare's Nepali movie CHAMPION starring Dikpal Karki, Manjita KC, JN Ghimire etc in the lead role. Post-Production : Movie Factory Pvt. Ltd.